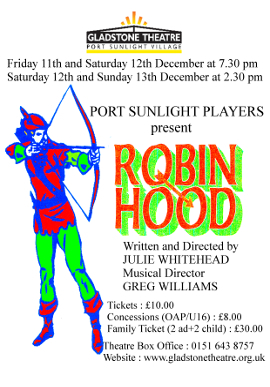 Fun in tights with Robin Hood, The Sheriff and all the other usual suspects in this traditional family pantomime. Directed by Julie Whitehead. Musical Director Greg Williams.